Lamentamos anunciar que se cancela la conferencia del Dr. Luciano Concheiro Bórquez, quien tuvo que adelantar su regreso a México. El IEALC invita a la conferencia del Dr. Luciano Concherio Bórquez, profesor de la Universidad Autónoma Metropolitana, Unidad Xochimilco, sobre las perspectivas que se abren en México con el triunfo de Andrés Manuel López Obrador. 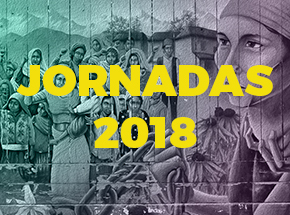 La actividad se realizará el martes 14 de agosto a las 18 hs., en la Sala 306 del IEALC. You made some decent points there. I looked on the internet for the problem and located most people will go along with with your website. Hmm it seems like your blog ate my first comment (it was extremely long) so I guess I’ll just sum it up what I wrote and say, I’m thoroughly enjoying your blog. I as well am an aspiring blog blogger but I’m still new to the whole thing. Do you have any tips and hints for novice blog writers? I’d genuinely appreciate it. Fantastic website. Lots of helpful information here. I’m sending it to a few friends ans additionally sharing in delicious. And obviously, thanks to your effort! What i do not realize is actually how you’re no longer actually much more neatly-appreciated than you may be now. You are so intelligent. You recognize therefore significantly on the subject of this topic, produced me for my part imagine it from numerous numerous angles. Its like women and men don’t seem to be fascinated unless it is something to do with Woman gaga! Your individual stuffs outstanding. Always handle it up! After study a number of of the blog posts on your web site now, and I truly like your way of blogging. I bookmarked it to my bookmark website listing and can be checking back soon. Pls check out my web page as properly and let me know what you think. AulL9k Wow, marvelous blog layout! How long have you been blogging for? you made blogging look easy. The overall look of your web site is fantastic, let alone the content! Your site offered us with useful info to work on. You have done a formidable process and our whole neighborhood will probably be grateful to you. DJuQlX What a funny blog! I truly loved watching this humorous video with my family unit as well as with my friends.